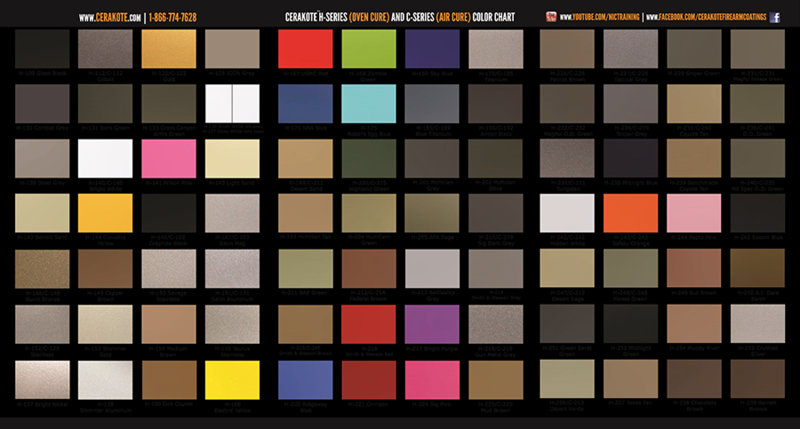 We offer Cerakote firearms coating application and are Factory Certified by NIC Industries. Cerakote is a Polymer-Ceramic coating that can be applied to metals, plastics, polymers and wood. The unique formulation used for Cerakote ceramic coating enhances a number of physical performance properties including abrasion/wear resistance, corrosion resistance, chemical resistance, impact strength, and hardness. A "blued steel" firearm is very susceptible to rust and corrosion if not kept clean and well lubricated. 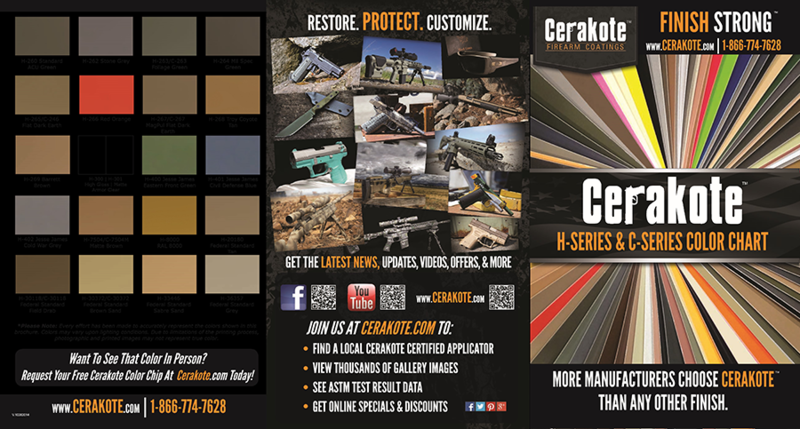 Application of Cerakote will greatly reduce the possibility of damage due to humidity and condensation when your firearm is exposed to environmental elements. Cerakote is a Polymer-Ceramic Composite coating that can be applied to metals, plastics, polymers and wood. The unique formulation used for Cerakote ceramic coating enhances a number of physical performance properties including abrasion/wear resistance, corrosion resistance, chemical resistance, impact strength, and hardness. Each of these properties is rigorously tested to guarantee that Cerakote products remain at the forefront of the ceramic coatings market. Cerakote ceramic coatings utilize state-of-the-art technology to out-perform any competitive coating in both laboratory settings and real world applications. WHY CHOOSE US AS YOUR CUSTOM APPLICATOR? We have the only staff in the area that has been Certified at Cerakote/NIC's Prismatic Powders Division Testing lab and Training Center located in White City, Oregon. We also guarantee our applicators work and our applied Cerakote finish. Well just about anything you can dream of! Our turn around time is typically 2-6 weeks.